This article was contributed to KidsOnBoard.net, which is a travel site to exchange travel tales and insights, tips and reviews. 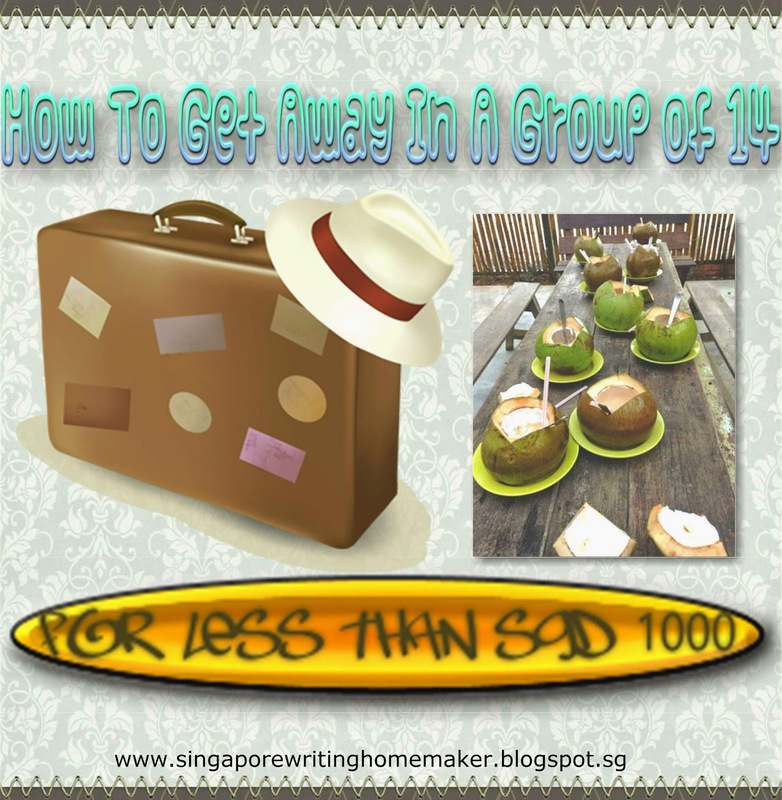 In August, we had a fabulous time at Kluang for a day in an extended family group of 14 for only less than SGD1000. All of us enjoyed the trip tremendously and the cost was low. 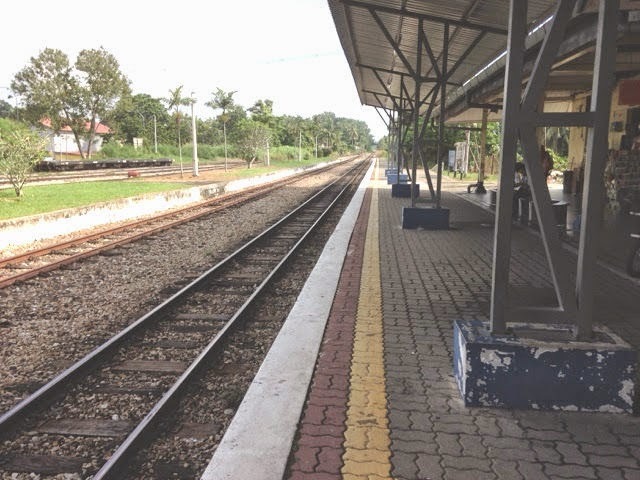 There were a few destinations which we visited such as Kluang Railway Station, UK Farm Agro Resort, Zenxin Organic Farm and Gunung Lambak (Namba Hill) but in this post, I am only going to share the highlights of the trip and some tips on managing this kind of trip. 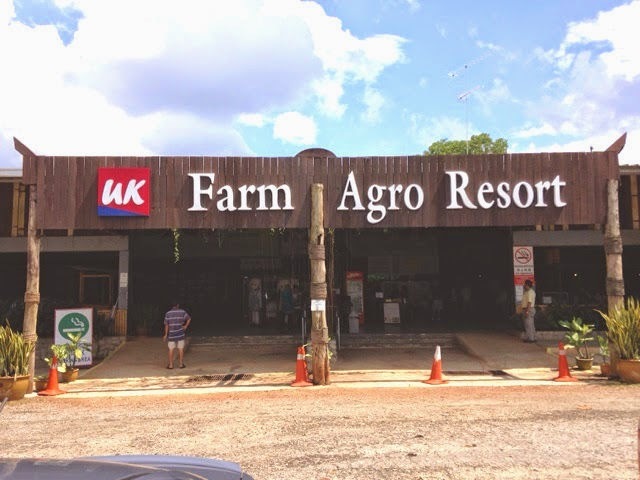 Learn more about what we did at the UK Farm Agro Resort here. Hiring a coach to get away was the "trick" of the getaway so we did not need to spend too much and managed to get together. 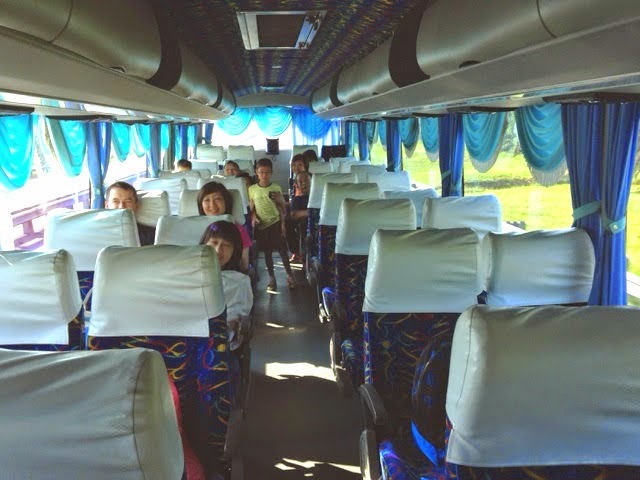 My sister-in-law used one of the travel agencies in Malaysia to book the coach. With the coach, we did not have to drive which was a huge benefit because we could enjoy chatting on the coach. The ride was only an hour and very comfortable. We had plenty of seats as there were only 14 of us in a 44-seater coach. The children especially my young boys were thrilled to sit on a real bus. We got ready water, snacks, extra clothes and movies. The adults had lots to catch up on with one another while the children enjoyed movies and snacks (these were usually prohibited at home). 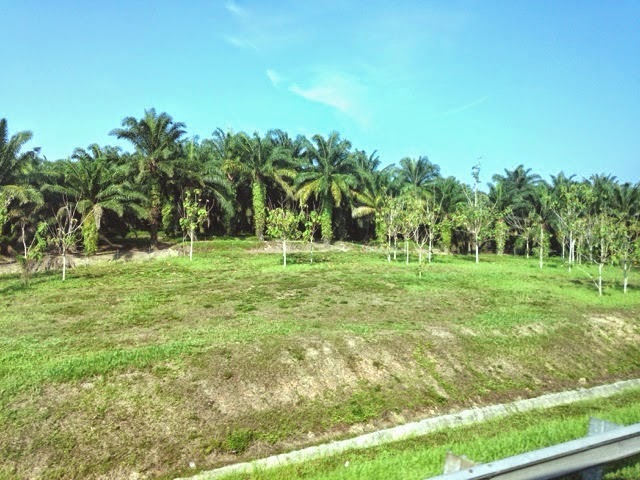 Along the way, we saw beautiful scenery typical of Malaysia - the palm plantations. 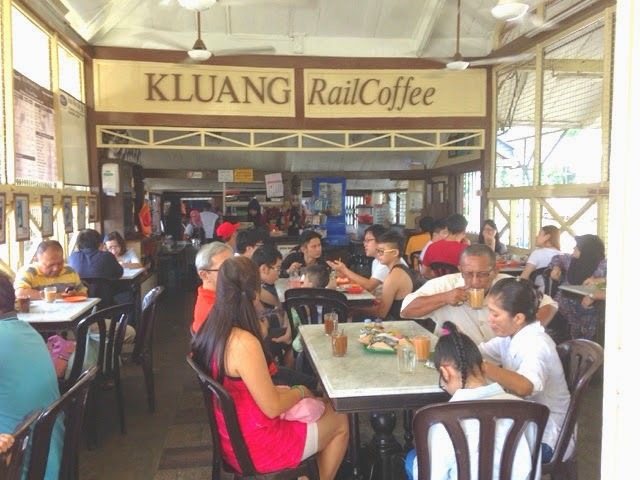 As we arrived at Kluang Railway Station for breakfast, we were surprised to see a crowded Kluang cafe. It took a while before we could get a seat. We enjoyed the yummy Asian kaya-butter toasted bread (kaya is the equivalent of jam), fried Bee Hoon (noodles), Nasi Lemak (rice with fish anchovies and peanuts), hard boiled eggs, iced Milo for children and coffee for adults. 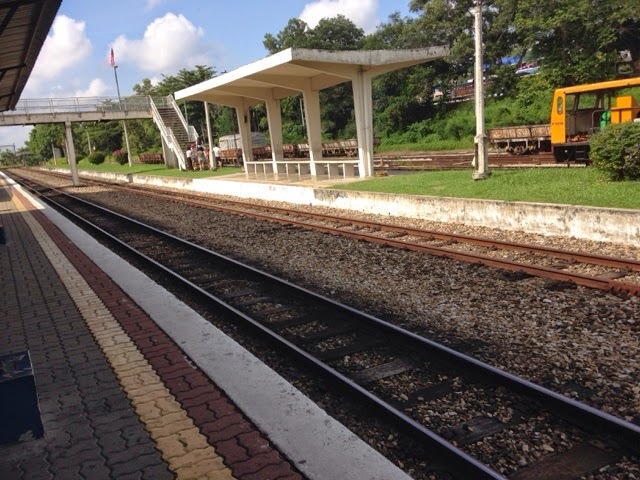 As typical as my toddler could get, he did not want to eat first and I explored the Kluang Railway a little with him. I discovered that if we wish, we could come direct from Singapore by train, an alternative you could explore. 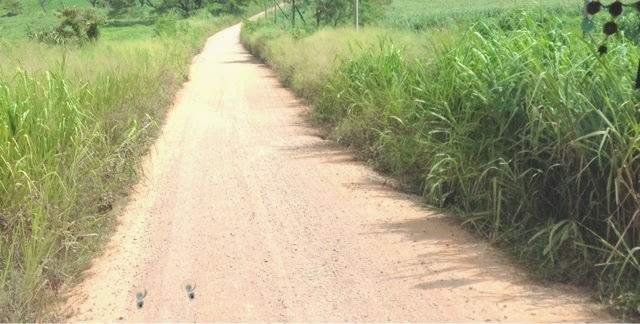 The route to the UK Farm, as the name suggested, was like travelling in UK except for the weather. The drive into the farm was 6km. 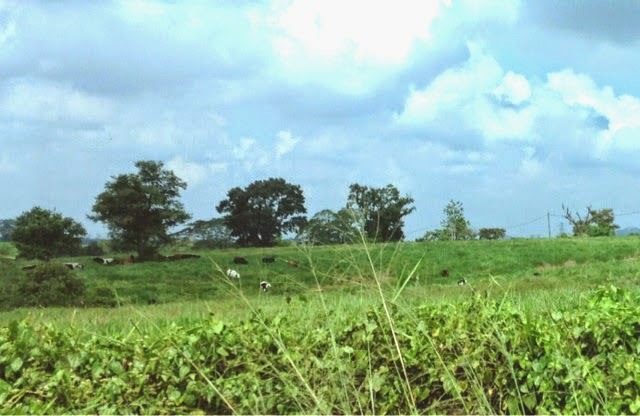 On the way, we saw cows feeding on the meadows and endless plains. What impressed us was that everything looked beautiful and clean. There was even a resort within the farm if you choose to stay for the night. 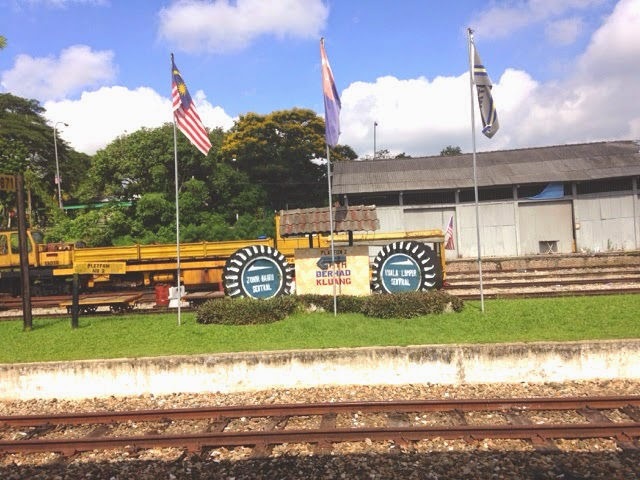 In only 30 minutes from Kluang Railway Station, we arrived at the entrance of UK Farm Agro Resort. The carpark was big, spacious and clean. The ceiling of the ticketing hall was high and the furniture reminded me of resorts in Thailand or Bali. Its ceiling was installed with plenty of ceiling fans so it felt airy and cool despite the hot sun outside. 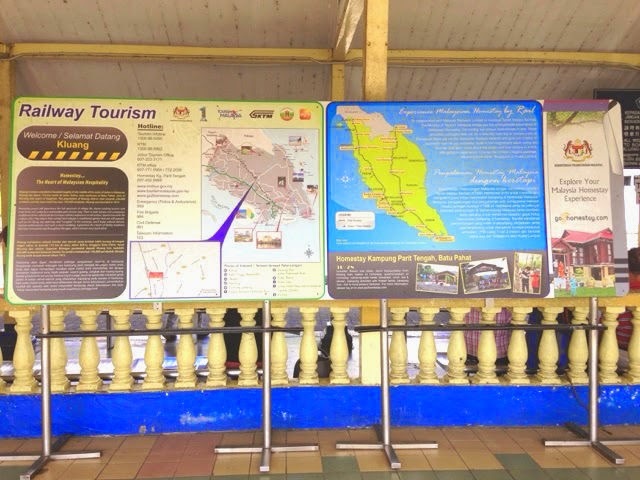 Signboards showed the many activities going on at the farm. I could not contain the excitement as I knew how our little children loved animals! 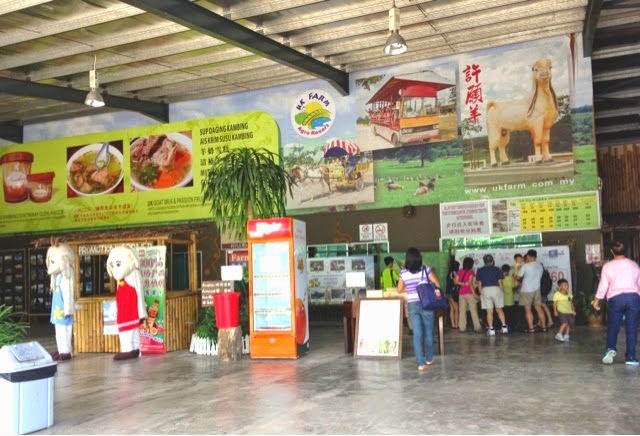 There was a mini zoo, feedstock processing factory, goat pen, milk feeding, goat milk processing centre, ostrich park, Jakun village, tropical arcade, mushroom farm visit, pony and horse cart rides, animal feeding, night walk activities and even archery. Immediately, we bought the entrance tickets which included a bottle of juice, animal feeds, ice cream and muffins served at the end of the farm tour as well as a bus ride to take us around the farm. 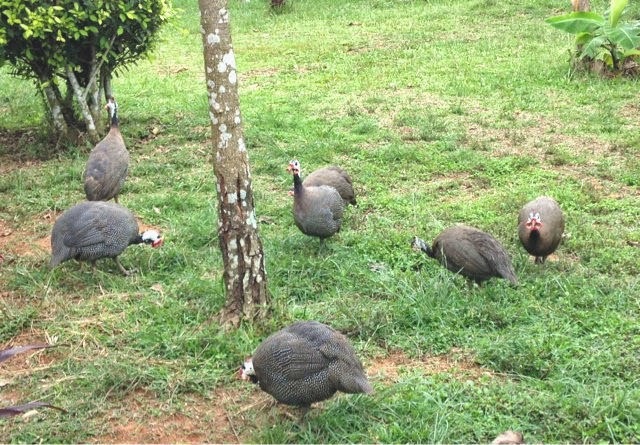 The internal resort bus was going to take half an hour to arrive, so we took the time to explore the mini zoo. 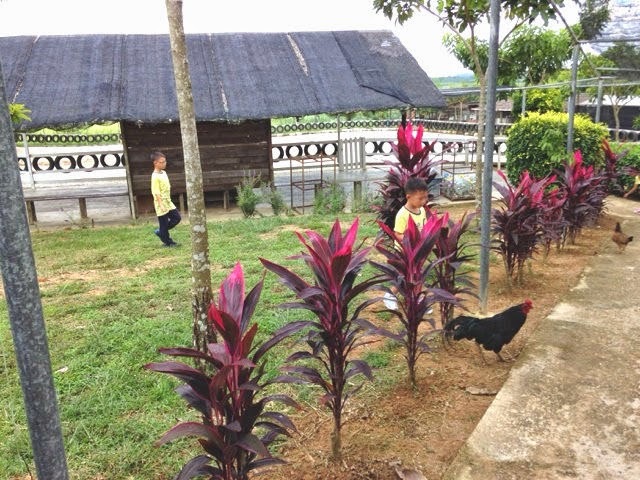 The children were pleasantly surprised by a pony waiting for them to sit on, two swings cleverly constructed in a timber-like canopy and chickens walking around in the vast outdoor compound. We had a great time feeding the birds and could not wait to see more of the animals. As we walked further, we saw the archery range. My eldest was happiest to know that he would be able play some archery later on. As the bus would be arriving soon, we had to leave, hoping to see more of the farm. 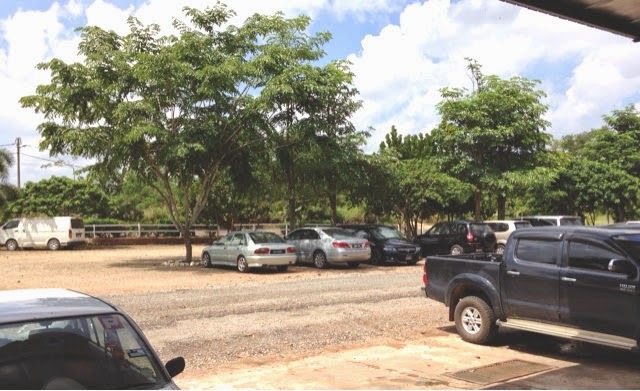 Learn more about what we did at the UK Farm Agro Resort here. 1. Do one destination only if you want to be extensive for each destination. 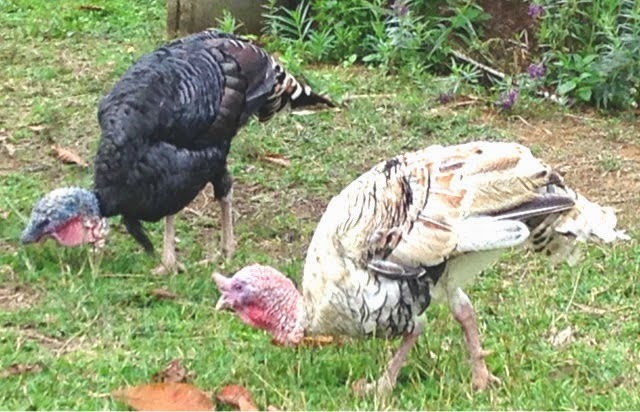 The UK Farm Agro Resort was a destination packed with activities suitable for young children so you would not want to hurry yourself so that the pace is too fast for the children. In our case, we did not complete the mini-zoo and archery, pony rides and horse cart riding on UK Farm Agro Resort. 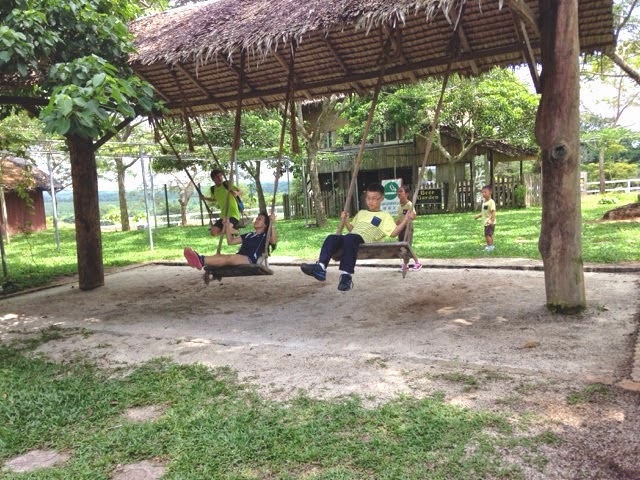 We were exhausted by the time we reached the Zenxin Organic Farm and were told that there were many activities on that farm too. But we were simply too tired by then and did not have the time to complete. We ended up being there just to eat, catch some "kampung" (village) fish and biking. 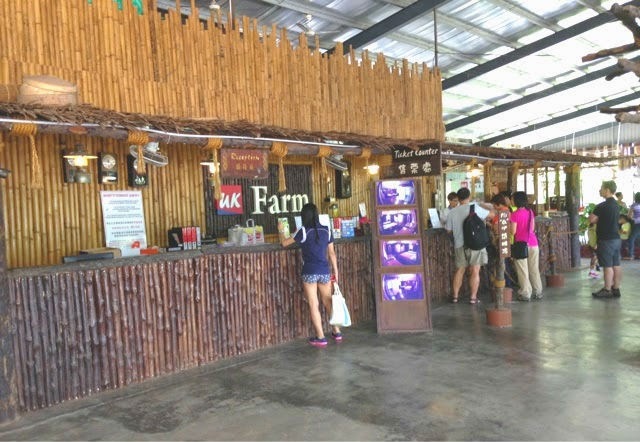 In Kluang, I would also love to visit Eco Farm Resort, another family friendly resort if we come again. You may wish to consider staying overnight at one of the resorts. 2. Climbing the Gunung Lambak was not advisable for families with young children as the route was steep and proper gears needed to be worn. 3. Most of the tour explanation were conducted in Mandarin. The guides could easily converse with us in English. If you want English explanation, I suggest you call the resorts beforehand. 4. Check the weather. A rainy season would definitely reduce the outdoor fun. And don't forget your shades, hats, sunblock and mosquito repellants (although I did not notice mosquitoes even without applying it for this trip). 5. Bring along a solar power bank to charge your mobile phone if you intend to use it to record your pictures. There is a high risk of your battery going flat during the day trip. I noticed plenty of photo opportunities. 6. I have left a few links within the post for you to check out the resorts. You are welcome to leave me a comment and I will try to help. 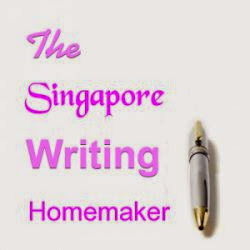 To get more of my posts, click on "to follow by email" or "to follow at google" buttons within my blog.